We’re only a month away from the return of the hit NBC sitcom A.P. 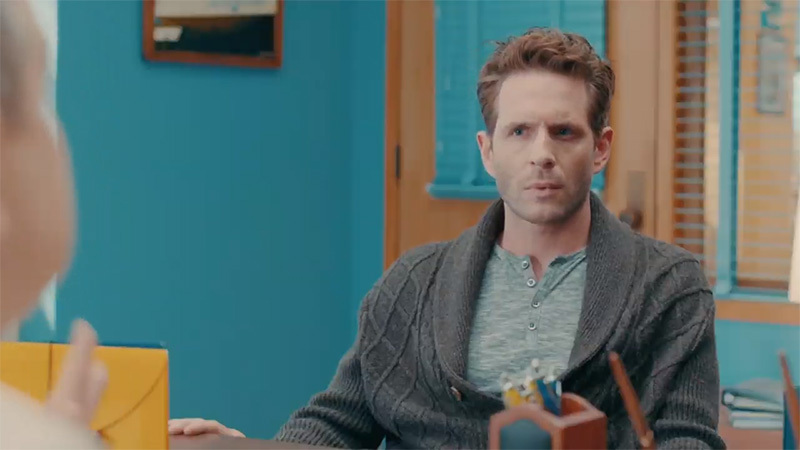 Bio and NBC has released a new teaser for the upcoming second season that hints at the direction for the next season in which Jack (Glenn Howerton) has a new plan on how to get out of Toledo, which can be viewed in the player below! The series, created by Mike O’Brien (Saturday Night Live), follows disgraced Harvard philosophy scholar Jack Griffin as he is forced to return to his hometown of Toledo, Ohio as an advanced-placement biology teacher, choosing not to teach the class in the slightest and instead focus on how to get revenge on his former rival Miles Griffin (Tom Bennett, David Brent: Life on the Road), while Principal Ralph Durbin (Patton Oswalt, Happy!) attempts to rein him in. The teaser for the second season shows that not only has Jack decided to stay on and teach at Whitlock High School, but he has also come up with a new scheme on how to escape Toledo by writing a book on how the middle class workers in town still find happiness in their lives. The first season, which premiered early in 2018, received generally positive reviews from critics, with a lot of the praise going to the cast, namely Howerton (It’s Always Sunny in Philadelphia) in the lead role as the cynical and frustrated Jack. The cast also includes Aparna Brielle, Jacob Houston (American Vandal), Allisyn Arm (Astrid Clover), Nick Peine (Office Christmas Party), Eddie Leavy (Those Who Can’t), and the first season featured guest stars Collette Wolfe (You’re the Worst), Niecy Nash (Claws) and Taran Killam (Single Parents). The second season of A.P. Bio is set to return to NBC on March 7.